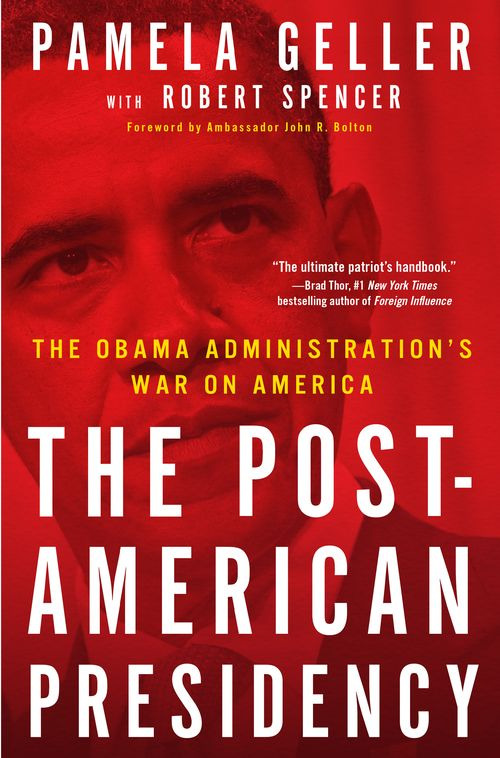 The authoritative book on Obama is available for pre-order: The Post-American Presidency: The Obama Administration’s War on America by Pamela Geller with Robert Spencer, and a Foreword by Ambassador John Bolton, will be in bookstores July 27 — but you can reserve your copy now! Accept no substitutes. Don’t settle for also-rans. Go to the original source. Order it now! Scroll and see what Geert Wilders, Mark Steyn, Caroline Glick, Brad Thor, Andrew McCarthy, and David Horowitz have said about the book. ResistNet – The U.S. Gov: giving parts of Arizona back to Mexico? Revolutionary Road Trip from NutGraf Productions on Vimeo. Why is China Promoting Gold Investments if the Yuan is Going to Appreciate? Democratic Socialists of America, is despite its deceptive name, the U.S.’s largest and probably most influential Marxist based organization. Many of its several thousand members operate through the Democratic Party, New York’s influential Working Families Party and the organization also counts thousands of of labor unionists, religious activists, journalists and college professors in its ranks. D.S.A. helped establish and continues to support the more than 80 strong Congressional Progressive Caucus and is particularly close to “single payer” healthcare champions Rep. John Conyers of Michigan and Caucus founder Senator Bernie Sanders of Vermont. Dr. Quentin Young of Chicago is the father of the “single payer” healthcare lobby in the U.S. he is also a former Young Communist League member, a long time D.S.A. activist and a one time personal physician and long time friend and mentor to Barack Obama. President Obama himself has a more than 25 year history of involvement with D.S.A. members. The first step is to move public opinion in the “correct” direction. In DSA we never expected more than the passage of an imperfect bill that we could work in coalitions to improve… DSA has been fighting for a single payer, Medicare-for-all approach to national health care for more than two decades. We expect to continue to fight for that approach in a number of states, especially in California, as the state legislature has passed single payer legislation in the past, only to have it overturned by a gubernatorial veto. DSAers in every state and city should be prepared to rebut distortions with letters to the editor and op-eds that talk about what socialism really is – and what true social democratic public provision would look like, particularly when health care is the paradigmatic public good that markets, let alone for-profit oligopolies, simply cannot justly and affordably supply. He also explicitly links healthcare to the other items on the Marxist agenda, financial regulation, immigration “reform” (amnesty), bailouts for distressed home-owners, massive Federal aid to city and state governments and the scaling back of U.S. military commitments. D.S.A., together with its Communist Party, labor and Democrat allies will not stop until the entire U.S. economy is under state control and/or direction. What distinguishes socialists from other progressives is the theory of surplus value. According to Marx, the secret of surplus value is that workers are a source of more value than they receive in wages. The capitalist is able to capture surplus value through his ownership of the means of production, his right to purchase labor as a commodity, his control over the production process, and his ownership of the final product. Surplus value is the measure of capital’s exploitation of labor. Obamacare, will not achieve that noble goal, but it is certainly a fine start.